This year the award goes to an office development in London’s Victoria, reports Building Design magazine today. The development, which occupies a whole city block in London’s Victoria consists of two office buildings designed by PLP Architecture and a residential building designed by Benson + Forsyth. The award goes to PLP Architecture for the office buildings. The shortlist for the Carbuncle Cup 2017, architecture’s award for Britain’s worst building, has been revealed by BD. The shortlist of six contains a mix of buildings types of differing scales. The shortlist was selected by a panel of judges consisting of BD editor Thomas Lane, BD assistant editor Elizabeth Hopkirk, Twentieth Century Society director Catherine Croft and Urbed director and chair of the Academy of Urbanism David Rudlin. Readers’ comments were also considered during the judging process. 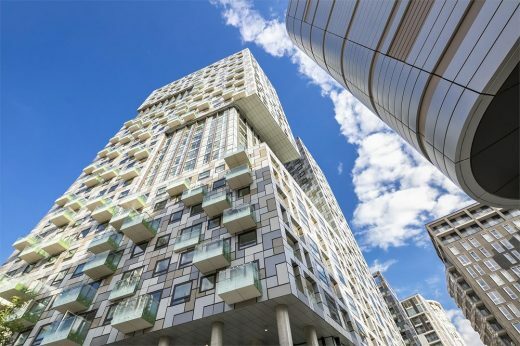 The winner of the BD Carbuncle Cup will be announced on Wednesday 6th September 2017..
Lincoln Plaza in London’s Docklands is the winner of the 2016 Carbuncle Cup, reports Building Design. The striking residential development was designed by BUJ Architects for Galliard Homes. Two residential towers, of up to 31 storeys, are integrated with a hotel plus a drum-shaped building. The winner was selected by a panel of judges. Reader comments were also taken into account during the judging process. The towers are titled Franklin and Greenwich. The buildings are notable for geometric patterned facades. 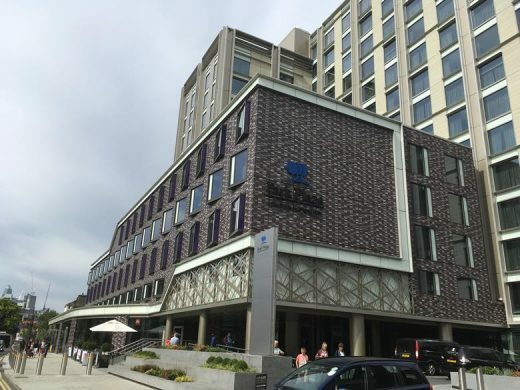 A multimillion-pound block of student accommodation on London’s Caledonian Road has been named the UK’s worst new building. 465 Caledonian Road, designed by Stephen George and Partners for University College London, was once a historic red brick warehouse that has now been largely demolished despite being protected. The original frontage has been retained in a cynical gesture towards preservation. But its failings go deeper: this is a building that the jury struggled to see as remotely fit for human occupation. The majority of rooms lack adequate daylight, offer little privacy and a significant number facing the retained facade have no direct view out at all. “There is no small irony in the fact that the building stands on the same street as HMP Pentonville,” said BD executive editor and Carbuncle Cup juror Ellis Woodman. The building was originally refused planning consent by Islington Council but was approved on appeal by the planning inspectorate on the grounds that students don’t require the same quality of accommodation as the rest of society. 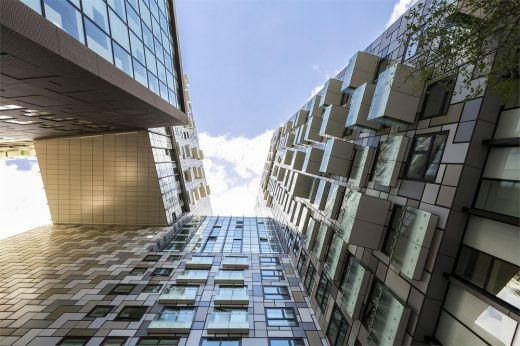 The runner-up for the Carbuncle Cup, which is awarded annually by the leading architecture industry title Building Design (BD), was also student accommodation. Student housing is one of the few building types that has continued to be built in large quantity throughout the downturn and all too frequently to a level of quality that is little short of an insult to the buildings’ inhabitants. “A look at the rapidly growing student accommodation sector provides an insight into trends in property development globally, and is alarming for lovers of the city and of architecture,” said Hank Dittmar, Carbuncle Cup juror and special advisor to HRH the Prince of Wales on Global Urbanisation. • Owen Hatherley – architecture critic and author. • Gillian Darley – writer, biographer, broadcaster and architecture critic. The restoration of the Cutty Sark by Grimshaw won in 2012. The £50m restoration of the dry dock in Greenwich, south east London, took six years to complete. The building (and the clipper contained within) opened to the public on 26 April 2012. Kapoor & Balmond’s Orbit is “nominated not only for its unique ugliness but for the mockery it makes of London 2012’s claims to sustainability”. a building that plumbs “new depths of inanity in their literal architectural expression. Belfast’s Titanic museum has been designed to resemble the collision of a ship and an iceberg”. Shard End Library is a library with a shard sticking out its end. “dismally proportioned, thinly detailed and grimly utilitarian”. “a scheme that completes the desecration of that city’s once great waterfront”. “a scheme that obscures one of the jewels of British maritime heritage behind an ineptly detailed greenhouse”. The award for Britain’s worst new building is back! 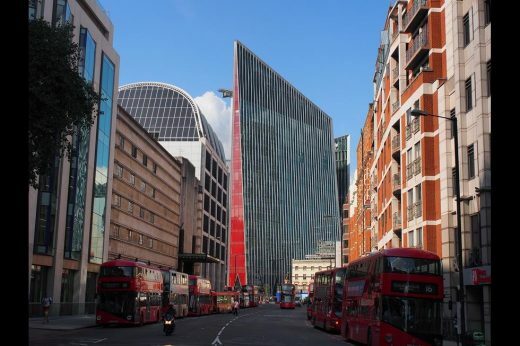 The UK’s leading architecture newspaper BD invites the public to put forward their worst new building for this year’s Carbuncle Cup. Nominations are already pouring in from disgruntled architects and local residents. The list includes several high profile schemes including the renovation of the Cutty Sark and one of Prince Charles’ pet projects. But the hot favourite is one of the most controversial projects of the 2012 Olympics – the ArcellorMittal Orbit tower by artist Anish Kapoor and engineer Cecil Balmond. Each week, one nominated building will be published on Bdonline – visit www.bdonline.co.uk/carbunclecup to see them all. The nominations that receive the most support in the comments section will automatically make the shortlist which will be revealed on July 20th. A final winner will be chosen by public vote and a jury of built environment specialists led by BD’s executive editor Ellis Woodman. “BD’s annual Carbuncle Cup offers the British public the chance to voice their distress at shoddy architecture, venal development and feckless planning,” said Woodman. Any building completed within the past 12 months or due for completion by the 2012 Olympics is eligible and anyone can nominate by sending in a short paragraph about the building to bdonline@ubm.com. The deadline for nominations is Friday July 13th. 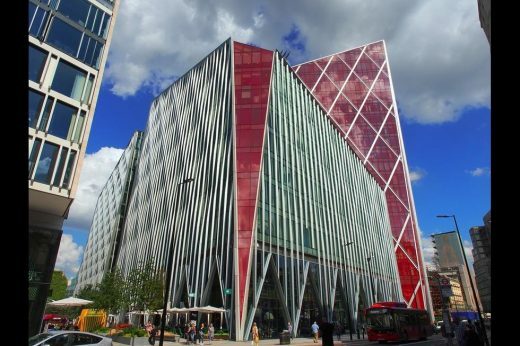 Now in its seventh year, the Carbuncle Cup is the UK’s only award for bad buildings. “For a profession that loves to give itself prizes for excellence, an award that sets out to recognize the polar opposite is a moment for reflection. Carbuncle Cup serves to highlight the fact that most of the UK’s new building stock is poorly designed or simply mediocre. The award acts as a counterpoint to the plethora of prizes handed out to architects each year – it is to the Stirling Prize what the Razzies are to the Oscars. Carbuncle Cup winner by Hamilton Architects provocatively placed in front of the famous Three Graces.